Green Healthcare goes on the road! Home >> News >> Green Healthcare goes on the road! 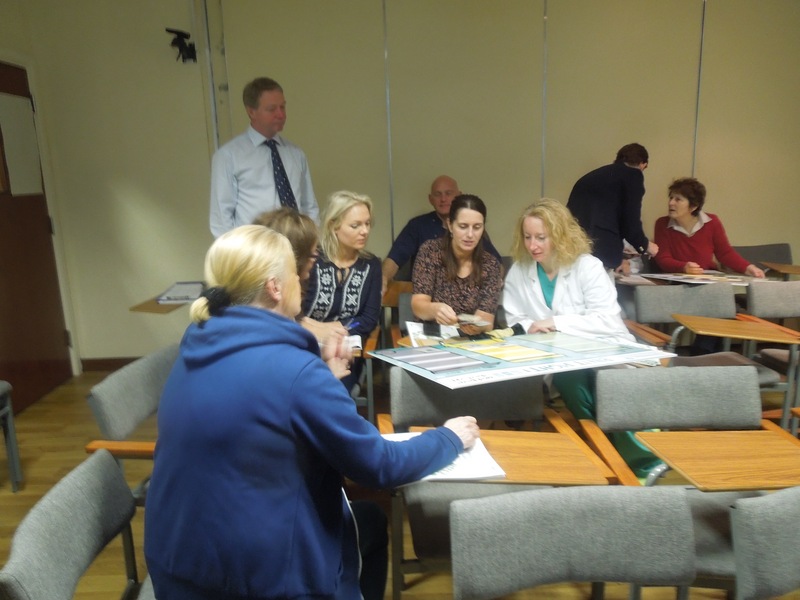 The Green Healthcare programme, in conjunction with the National Health Sustainability Office, has been running a series of Green Healthcare Training and Awareness days in hospitals across the country. 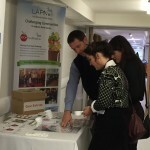 Food waste reduction – aimed at catering and support staff. 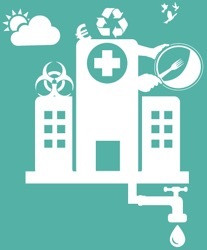 These sessions outline the findings from the Green Healthcare programme and also, using data from each hospital, estimate the potential savings and illustrate where the hospital sits in terms of benchmarks for water and waste (food, clinical and recycling). 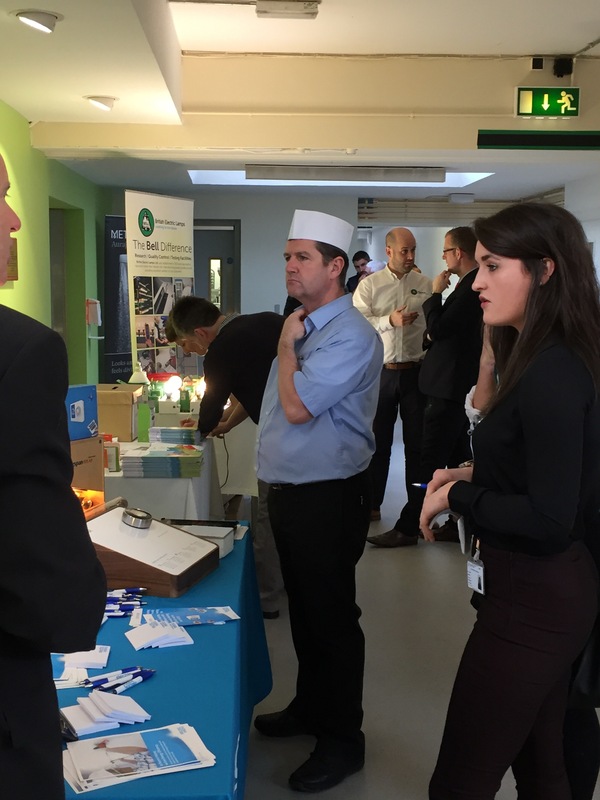 The training session on risk waste also involves an interactive “board game” where small groups work together to put individual waste streams into the correct bin – this has proven particularly popular. 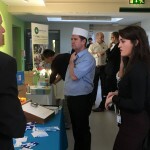 Aside from the training sessions, an awareness stand for staff and the public is manned, with freebies and information on how to reduce food waste at home and save money. 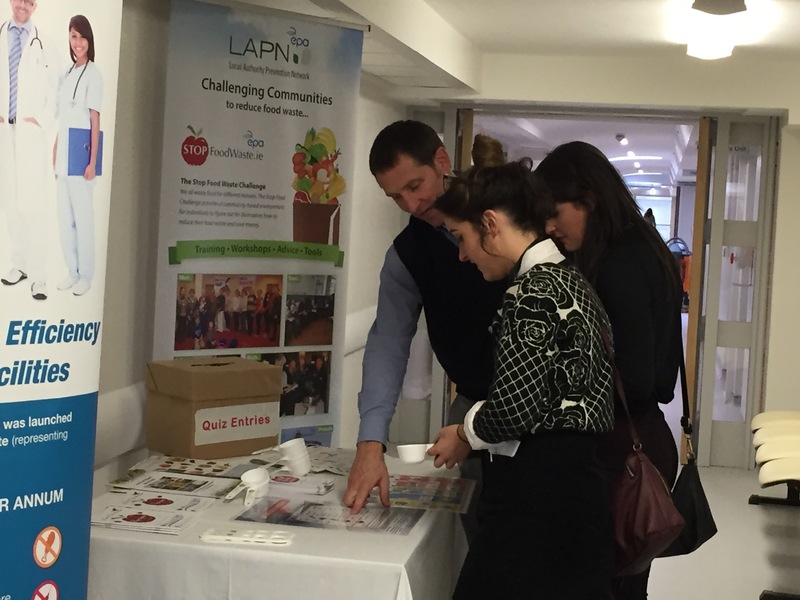 A quiz is also held covering topics like what can be recycled in the hospital and what should and shouldn’t go in the healthcare risk waste bin, often with heated debates on the answers being heard across lunchtime tables! 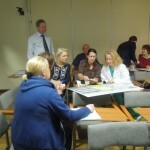 So, watch out for more Awareness days during 2016 in hospitals throughout the country.